Chioma Umeha: How Do Exercise, Weight and Age Affect Fertility? Exercise: Exercise should be encouraged for both women and men who are gearing up to try to conceive. However, excessive, strenuous exercise in women may result in disruption of the ovulation cycle, thereby affecting her periods. Normal exercise has not been linked to miscarriages (loss of pregnancy), but certain forms of exercise (for example, high-impact or contact sports or scuba diving) should be avoided in pregnancy. In men, too much exercise may cause a low sperm count. A healthy diet is very important for women who are trying for a baby. Being overweight can affect a woman’s fertility and can cause complications during pregnancy. 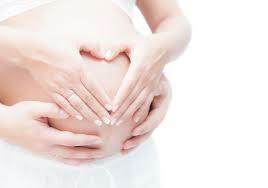 A woman who is overweight and who is planning a pregnancy would be advised to lose weight before she conceives. Weight loss with anorexia or bulimia can disrupt a woman’s menstrual cycle and thereby reduce her chances of becoming pregnant.